It would appear that $195 Million “Bailout” just wasn’t quit enough it was just the starting point. Within 10 hours of these articles the backroom deals must have been cut? Anybody think this has something to do with the lawsuit that was awarded that the DPS is on the hook for? Throw in all the other liabilities’ and debt into the mix and sure looks like us taxpayer’s will pony up yet again! In a letter to Schuette’s office dated Sept. 23 asks the attorney general to opine on whether Michigan’s Constitution was violated when the state Republican controlled Legislature passed a bill in December 2012 specifically to divert state school aid funds for the $450 million arena. Michigan Attorney General Bill Schuette quietly issued an opinion that said state taxes for schools can legally be used to fund the arena’s construction. So this is Constitutional for the taxpayers of Michigan to fund one of the riches people in the state as listed by Forbes? Oh my…. Gov. Snyder wants the Legislature to offer DPS up to an additional $72 million a year from Michigan Taxpayers! Snyder faces a tough challenge in getting the money for Detroit from the School Aid Fund as he planned. It’s no wonder when money from that fund went to building the new “Red Wings Arena” with AG Schuette writing an opinion saying it was Constitutional to do so. 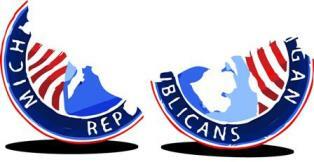 Wake up people you are being taken by the Republicans who have complete and total control in Lansing! Follow the timeline in the articles below. Links inside article for more information. By Diane Ravitch who is a historian of education, an educational policy analyst, and a research professor is outraged by this and Michigan citizens should be as well. Here is what the Michigan State Constitution says. Article 9, § 11 of the Michigan Constitution established a State School Aid Fund funded by various tax revenues, and provides in part: There shall be established a state school aid fund which shall be used “exclusively” for aid to school districts, higher education, and school employees’ retirement systems as provided by law. 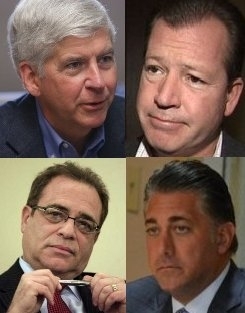 Detroit Bailout Leaves Michigan Taxpayers On The Hook For More Than $195 Million – AND A LOT MORE! Below you will find just a few examples of how Michigan Taxpayers are on the hook for a hell of a lot more than this “Grand Crap Sandwich Bargain” of $195 Million of your tax dollars! If this isn’t leaving a bad taste in your wallet just wait, now that this is done they are working real hard for you up in Lansing to pass legislation as to raise your Gas Taxes too. While Detroit Goes Bankrupt, Michigan Taxpayers Hand Disney’s ‘OZ’ Nearly $40 Million in Film Credits and this is but one example there are numerous other Film Subsidies that have and will be handed out to Obama’s Hollywood supporters! The hard part to swallow is our legislators all think it’s funny that they are spending our tax dollars on this wasteful venture that corrupt politicians created in the first place. 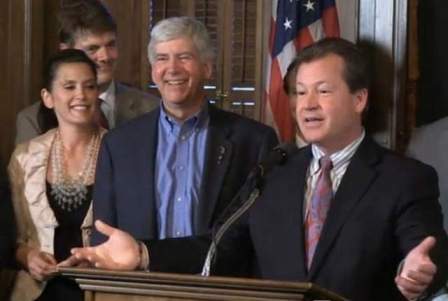 They won’t be out done they will all laugh when they pass yet more tax increases on we Taxpaying Citizens of Michigan. Can any Taxpayer in Michigan explain to me why our taxes should be used for the rich and wealthy as to continue to build their empires? 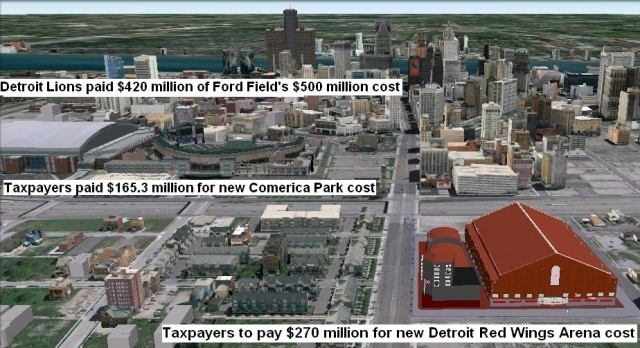 The Taxpayers of Michigan have had to pony up over $515 Million in subsidies for Ford Field, Comerica Park and the New Red Wings Arena not to mention the Pontiac Silverdome which was built and maintained with a taxpayer subsidy buried in an Agriculture Bill. 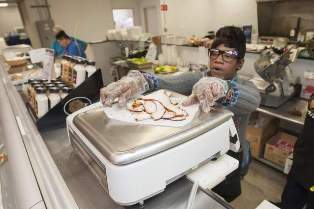 More than $1.2 million in grants and loans have been awarded to the owners of the grocery and retail center it anchors. 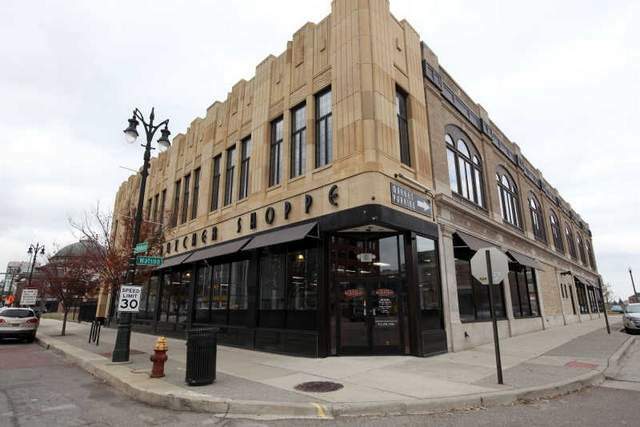 The “failed” Michigan Economic Development Corp. (MEDC) announced the funding this week. 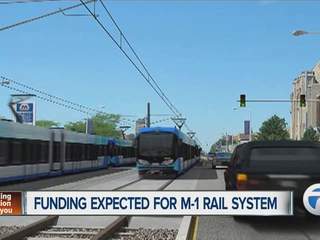 The money was approved by the Michigan Strategic Fund. The project was awarded a $830,000 grant by the state of Michigan’s economic development agency. That’s on top of Detroit Economic Growth Corp. providing a $200,000 loan and a $225,000 loan through Invest Detroit, which funds city development projects. The Michigan Strategic Fund approved a request today for a $125 Million Taxpayer Funded subsidy to Green Box NA Michigan for a yet-to-be-built plant in Detroit. The Michigan Strategic Fund is just one of the many tentacles of the “failed” Michigan Economic Development Corp. (MEDC). The state (we the taxpayers) said it plans to spend up to $20 million to improve the park during the first 18-36 months of state management. 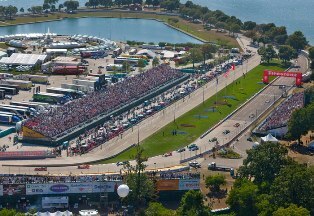 For the 2014 Grand Prix in Detroit on Belle Isle $3,500,000 Million allocated on December 18, 2013 from the states Trunkline Fund. So again the rich and well connected benefit from we taxpayers such as Roger Penske with his “Team Penske” motorsports who raced and won at the Grand Prix this year on Belle Isle. Michigan Taxpayers should question why the money wasn’t being spent to fix potholes. “The money being utilized for this project is supposed to be restricted for road purposes.” Being as Detroit and Wayne County both are broke and facing financial issues with Bankruptcy along with the state in control how could this be? Could Wayne County Go Bankrupt Next? With the news of Detroit’s bankruptcy still sinking in some financial experts say Wayne County could be next. But other cities are facing similar financial difficulties as well…can you say Flint as but just one other example? Are Michigan Taxpayers Funding All Businesses in the State? Sure Looks Like It! It sure looks like it. There isn’t a day that goes by where my research on the “failed” Michigan Economic Development Corp. (MEDC) hasn’t “given away” the citizens of Michigan’s tax dollars. This must and should stop! How can our elected representatives in Lansing justify asking we taxpayers for a tax increase for our roads with this type of cronyism benefiting themselves and their business buddies? They can’t! Read more below the picture. The Shoppe faced a series of setbacks before announcing closure after just 16 months. Just another in a long list of taxpayer funded failures through the “failed” MEDC. The Solakas, the owners were not the only parties to lose money. $130,000 in community grant money was spent assisting the butcher shop from organizations including Midtown Detroit Inc., the Detroit Economic Growth Corp. and the “failed” (MEDC) Michigan Economic Development Corp. Is every business in Michigan propped up and funded with taxpayer dollars? Sure looks like it! There was “NO” mention of this taxpayer giveaway through the “failed” MEDC in this November 2012 article. George Jackson, who as president of the Detroit Economic Growth Corp. helped bring Whole Foods to the city. If Detroit is broke where did the Detroit Economic Growth Corp. get the money for this subsidy? Ah how about the “failed” MEDC funneling yet more of all Michigan taxpayers monies to these businesses! Read more below the picture. Olga Stella, vice president of business development at Detroit Economic Growth Corp. which provided a $1.25 million grant. 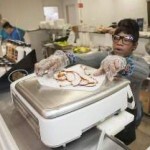 The DEGC is a private nonprofit group that supports economic development in Detroit. The remaining $5.8 million came from state and local grants and the sale of tax credits tied to the project. Whole Foods should send Michigan taxpayers a big thank-you note. Some of the prominent names that show up in this endeavor are local businessman and the politically connected Alfred Taubman. If you remember he was also a partner in the “failed” MEDC subsidized Raleigh Film Studio in Pontiac the taxpayer funded movie studio that the under-funded state pension fund is now on the hook for their “failed” missed bond payments! The under-funded state pension fund is “you” the taxpayers of Michigan! Also of interest is Mr. Taubman’s Antitrust Conviction the early 2000s, an investigation into alleged price-fixing between Sotheby’s and rival auction house Christie’s led to a confession by Sotheby’s CEO Diana Brooks of an elaborate price fixing “scheme” with her counterpart at Christie’s, Christopher Davidge. In a plea bargain arrangement, prosecutors offered to keep her out of prison if she agreed to implicate Taubman. She did, and thereafter Taubman was convicted in a jury trial of price fixing. He was fined $7.5 million (USD) and imprisoned for ten months in 2002 for anti-trust violations.Taubman was released in 2003. One of Mr. Taubman’s partners in that “failed” Raleigh Film Studio is John Rakolta Jr. who is the CEO of Walbridge (formerly known as Walbridge Aldinger). Governor Rick Snyder appointed Mr. Rakolta to the board of, you guessed it the “failed” (MEDC) Michigan Economic Development Corp. Can you say a definite conflict of interest? Rakolta has also served as the chairman of New Detroit from 2003 to 2010. John Rakolta and his company Walbridge was recently involved in the shady dealings in the new Wayne County Jail project that was shut down and has recently come under investigation by Wayne county prosecutor Kym Worthy in Detroit. So my fellow Michigan taxpaying citizens does anybody but me see that these businessmen and their political buddies in Lansing are running a criminal enterprise using “our” tax dollars in an all for profit scheme? 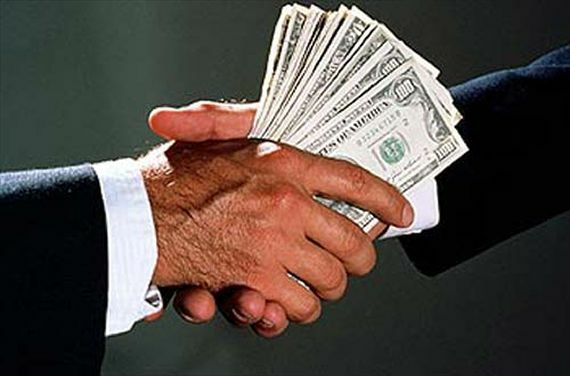 Shady characters and convicted felons are working with our elected officials literally stealing our money! A word to the wise come election time here in 2014, be very careful how you cast your vote you may well get something you don’t necessarily want! Politicians will tell you what you want to hear as to get elected but the results are not in your best interest! 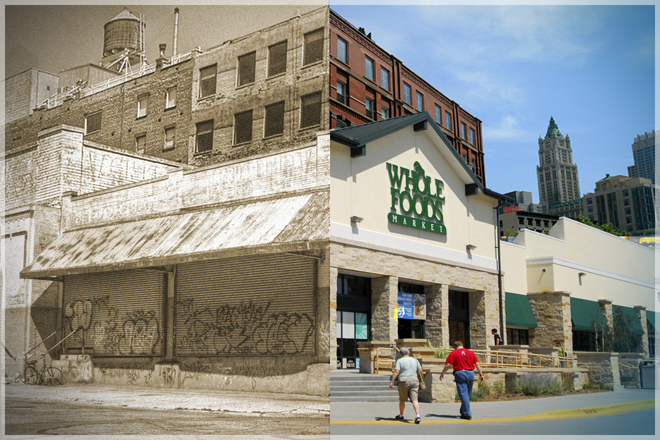 It took 15 years to build a grocery store. Not only 15 years, it also took a whole lot of corporate welfare as well.